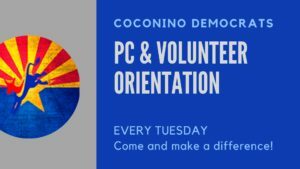 Come and join the Coconino County Democratic Party Youth Council! We invite all young activists, campaigners, and voters together to give advice and direction to the Democratic party on finding more Youth representation, focusing on issues that mean the most to the next generations, and reaching out to inform and empower youth voters. Make a difference for 2020!